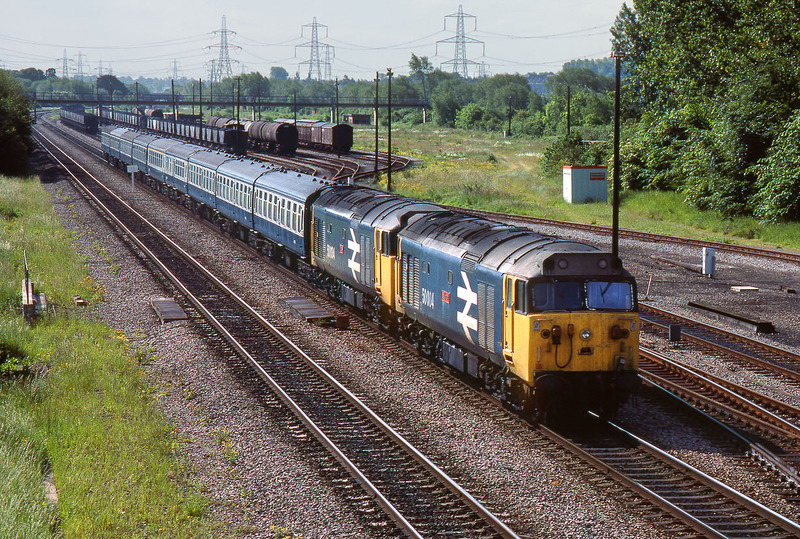 50004 St Vincent & 50034 Furious pass Hinksey Yard on 14 June 1983 with the 1A22 08:50 Paddington to Oxford non-stop service. Very much a grab shot, as I was more intent on getting a picture of 31158, which was rapidly approaching from the other direction. Although Hinksey Yard is obviously much depleted since it wartime heyday (note the grass covered area directly above the locomotives), it is still fairly busy in this view. It would later become more or less completely deserted, prior to its recent renaissance.